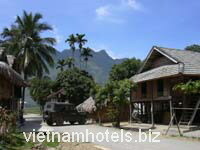 Mai Chau Guest House is Situated at the Center of Mai Chau Town, Hoa Binh. 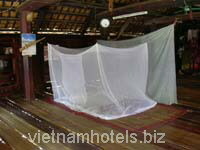 It is very commodious, fresh and convenient for travel and is very comfortable with reasonable price for all visitors. 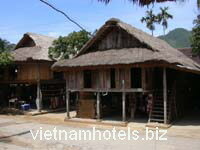 Hoa Binh is a mountainous province located in the North. It is bordered by Son La in the West, Phu Tho and Ha Tay in the North, Ha Nam and Ninh Binh in the East, and Thanh Hoa in the South. The culture of Hoa Binh combines six minorities with their own languages, traditional literature, and festivals. Tourists especially enjoy the minority specialty dishes including rice cooked in bamboo and grilled meat. They also enjoy watching traditional dancing, music performances (bronze, drums, gongs), and Thai minority singing and dancing. 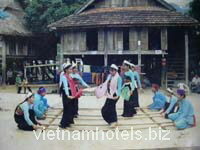 The remote minority villages are attractive sites for tourists.